Up for your consideration today, are 100 Wild Onion (Allium canadense) Bulbs. All of the bulbs are picked fresh from my own edible herb gardens. The bulbs you will be receiving are fresh and are ready to plant upon their arrival. Some of the bulbs may still have the brown reticulated membrane on them, while some may not, due to how I am able to pick or dig them up. The bulbs will include a little of the green blades, as this is preferred due to them being shippped. I do not want to risk the blades becoming damaged during shipment. The bulbs can be planted with or or without the membrane covering on them, and the green blades will quickly grow back out once they have been planted. Wild onions are ideal for anyone who enjoys edible foraging or cooking with plants or herbs. 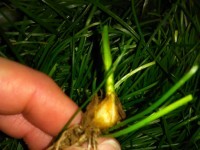 The blades of the wild onion are divided at the base near the bulb, and also have a reticulated membrane (net-like covering) around the bulb. The blades of the wild onion are flat shaped, which, when broken in half, appear more solid. The wild onions Wild onions will produce flowers and seed, which fall to the ground and germinate. These bulblets become new plants, thickening the patch. They look similar to green onions you buy in the store, except the blades have a much smaller diameter. They are generally only a quarter to an eighth the diameter of garden green onions. 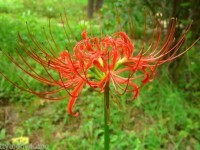 They are cool season perennials, meaning they will be actively growing in the cooler parts of the year. 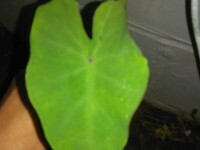 They grow equally well in shade as well as full sun. As the weather begins to warm up in late spring, the bulbs will go dormant. The bulbs can be planted just about anywhere, whether it be a vegetable garden, raised garden beds, pots, or flower beds. Wild onions are the wild cousins of the garden variety, that we use in salads and for cooking. Just like the store bought or home grown variety, these wild cousins are also edible. Wild onions have more of a garlic smell, but clearly an oniony taste when eaten raw. They have a sweet taste to them when they have been cooked. Nothing like cooking them down in a good old cast iron pan and serving them with a hot pan of cornbread. You can also dehydrate the blades and use them to make your own seasonings or for adding a little flavor to almost any meal. Wild onions can be used as a vegetable, or as a flavoring in soups or stews, and can also be pickled. The bulbs can also be eaten and make for a tasty treat. The size of the bulbs can range from small as the end of an ink pen up to about thumb sized. You can even pick abundant harvests of wild onions during their growing season, cooking the blades for freezing for enjoying during their dormancy. 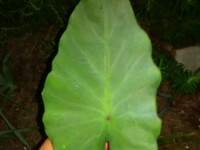 They are tasty when cooked with greens or eggs. They taste great in salads and also in quiche. These bulbs are ideal for anyone who enjoys edible foraging or working with edible plants/herbs. 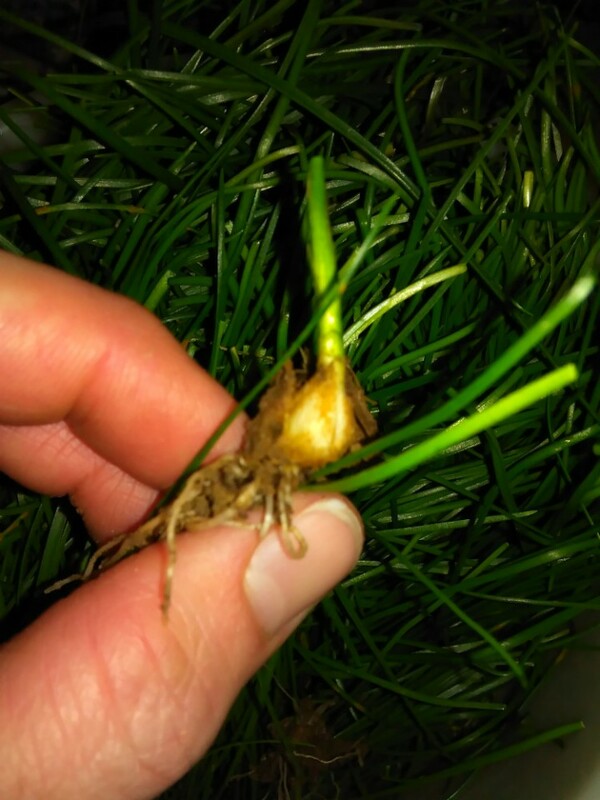 REMEMBER: You will be receiving 100 Wild Onion Bulbs!! This is a must-have for anyone who is a serious wild forager or herb gardener. I will very carefully and tediously package these items up with extreme care so that the package withstands it's travels while in transit. I will mail this package out to you via USPS Priority Mail. If you are looking for an item like this, then this would be ideal for you. Don't let this deal pass you by. Thanks for viewing our listings and May God bless!! Please keep checking out our listings, as there will be more to come in the weeks ahead.